These fire-prone counties are within the western interior forest of Idaho, Montana, Washington, Oregon, Utah and Kansas. These communities have a growing presence of Wildland Urban Interface (WUI) and a larger amount of federal ownership (USDA Forest Service, Bureau of Land Management). Example of a Typical County — Flathead County, Montana: Kalispell and the main entrance to Glacier National Park and the Flathead National Forest fall in this county. There were large fires here in 200, 2003 and 2007. 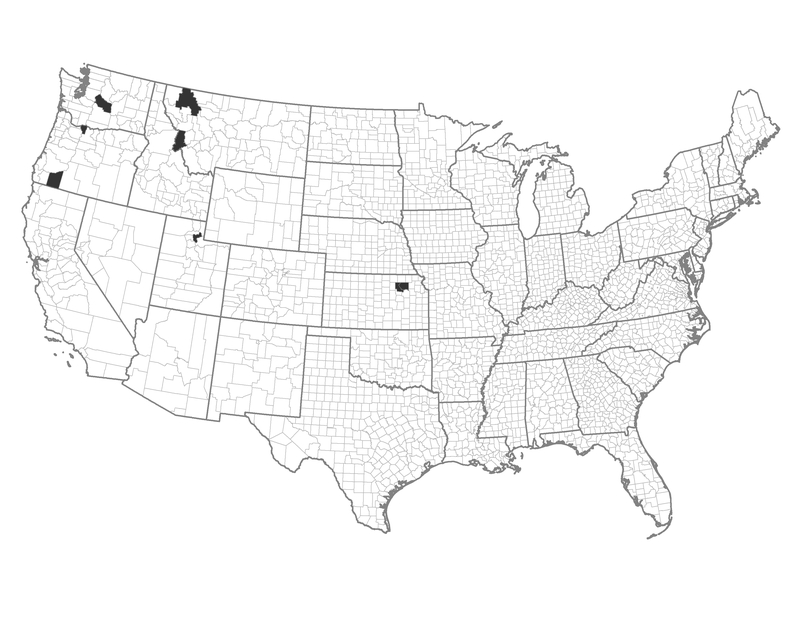 These counties may have contiguous areas that could benefit from the use of landscape-scale prescribed fire. Strategic fuel breaks may be warranted. There may be an active forest products industry nearby, which could support fuel treatments. Treatments are economical as a precursor to prescribed fire. The focus would be on treating the periphery of the area to act as a buffer. Local discretion should be used to determine the importance of homes and community actions.